AREU’s research projects aim to address knowledge gaps and to inform and influence policy. AREU engages in both short-term and long-term research, findings and analysis are presented in a variety of forms, including through various types of publications and events. The methodology for each research project usually draws on social science approaches. The organization has established a reputation for its use of qualitative methods based on in-depth interviews and focus group discussions and dialogues. In some instances, AREU also conducted multi-site, small sample quantitative research. 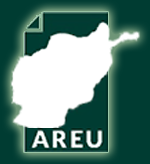 AREU consults both international and national stakeholders at different stages of its studies. Research projects also include both internal and external peer review mechanisms that assist in ensuring the quality of research proposals and publications. These five overarching themes are evolved as a result of consultations with the experts, practitioners, and donors operating in Afghanistan to fulfill its commitments meeting the Global Sustainable Development Goals and other international pledges. They also encompass many of the key areas envisioned in Afghanistan’s national strategies such as the Afghanistan National Development and Peace Framework (Download), and the Self-Reliance through Mutual Accountability Framework (SMAF). The themes also reflect several of the National Priority Programs that are introduced at the Brussels Conference on Afghanistan in October 2016. Within these five themes, a broad range of important topics are presently being researched: International Men and Gender Equality Survey, Three-pronged research effort into essential areas of Natural Resources Management, Governance Forum on Afghanistan (Go4Afg), Afghanistan Constitutional Law Research and Dialogues Series, and Human Trafficking. For more information about our research projects click on links of completed and ongoing projects.